Now, we all know that the British summer frequently fails to live up to expectations and we all plan barbeques that get rained off when the day comes. Well I am a fan of an impromptu barbeque for this very reason. 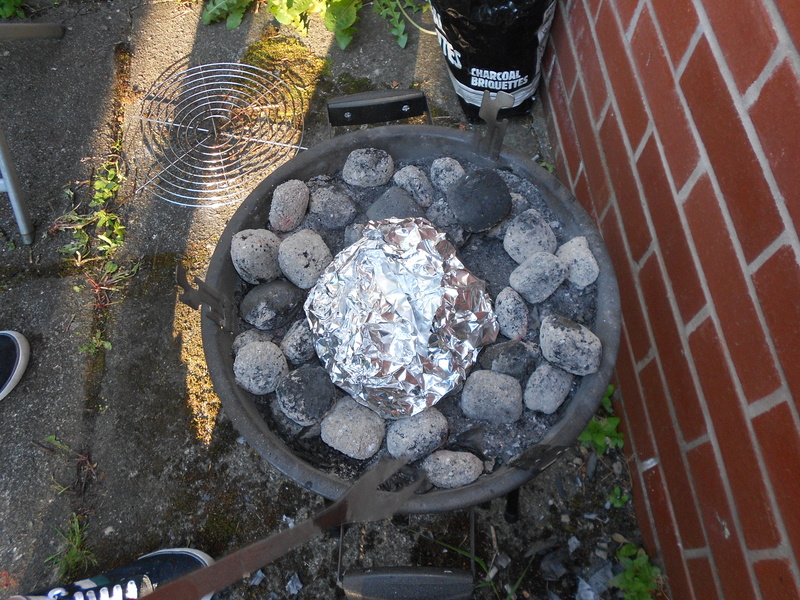 Last Saturday we were treated to some glorious sunshine so J and I decided to try barbequeing fish. I’m really glad we did as everything turned out splendidly. 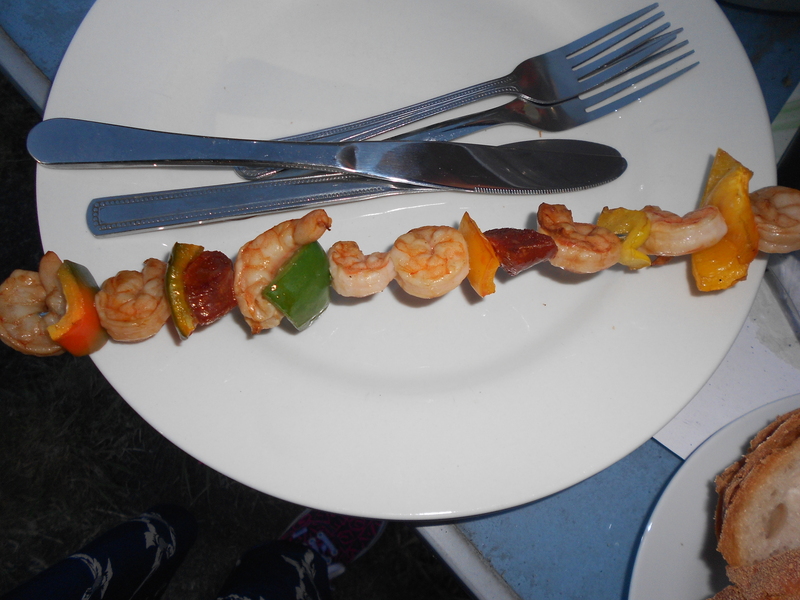 The Prawns were particularly lovely, they had an amazing smokey flavour. I personally thought J and my trek to 3 different supermarkets in search of ingredients was well worth it; I wholeheartedly admit that I am an awkward person for making him scour the shops with me. When preparing the barbeque J and I ended up being the stereotypical couple. I prepared the food, he made fire. However, this was definitely for the best as I am one of the most accident prone people ever and I wouldn’t have fancied the laughs that would have followed if I had appeared at work on the tuesday with singed eyebrows. 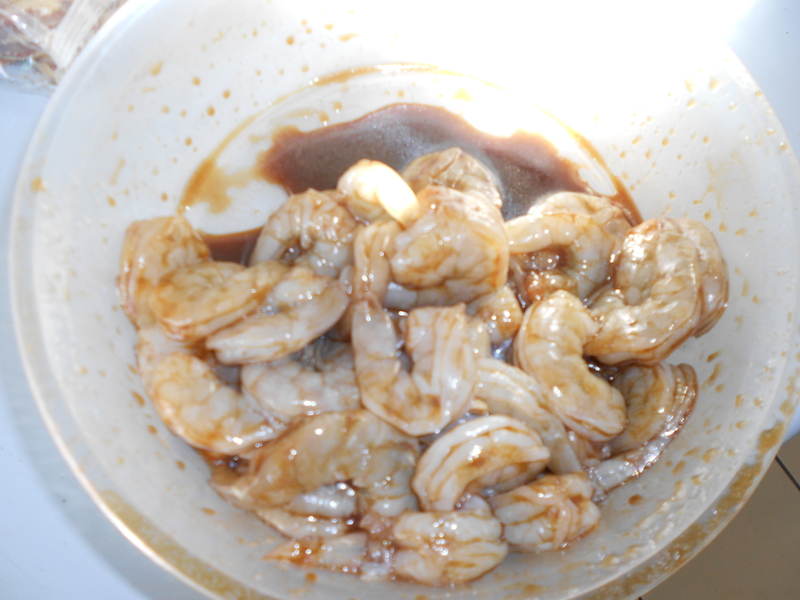 Put the soy sauce, Worcestershire sauce and sesame oil in a Tupperware container. 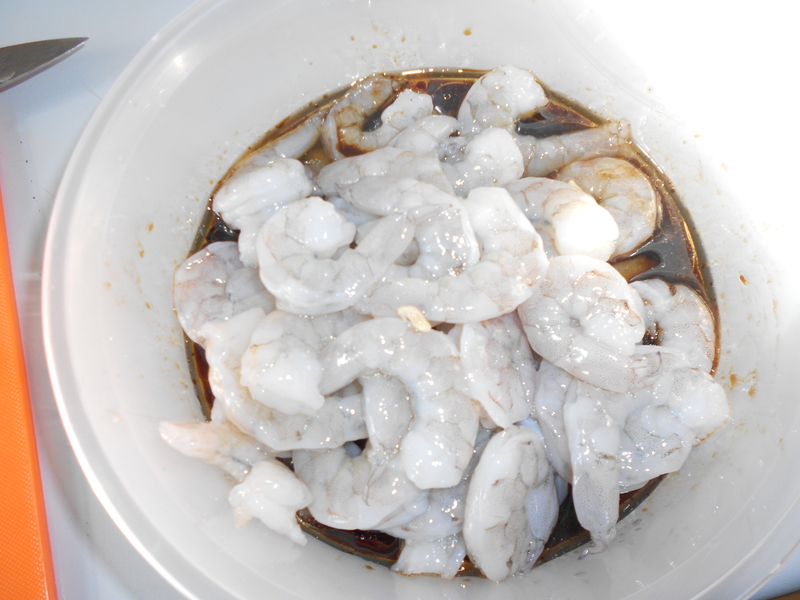 Butterfly the prawns, put into the container with the lid on, shake the container and leave to marinade in the fridge for a few minutes. 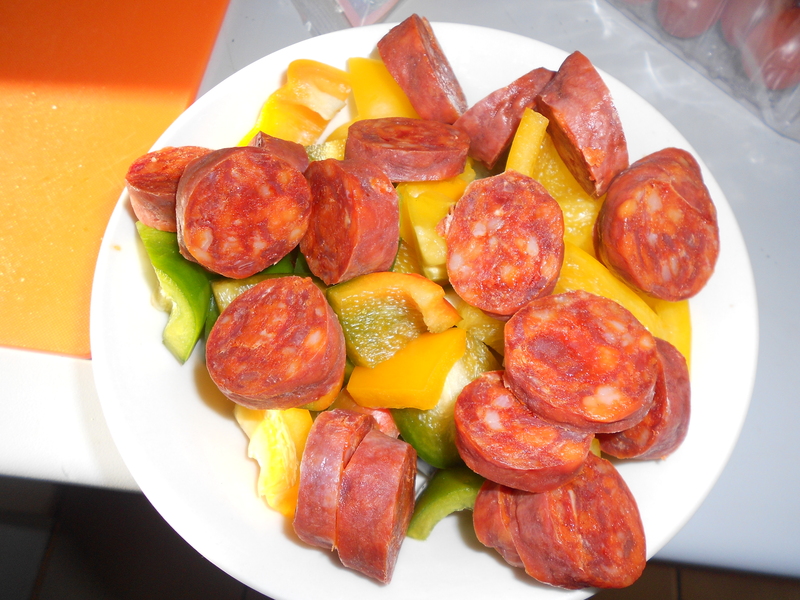 While the prawns were marinating slice your chorizo and cut the peppers up into bite sized pieces. 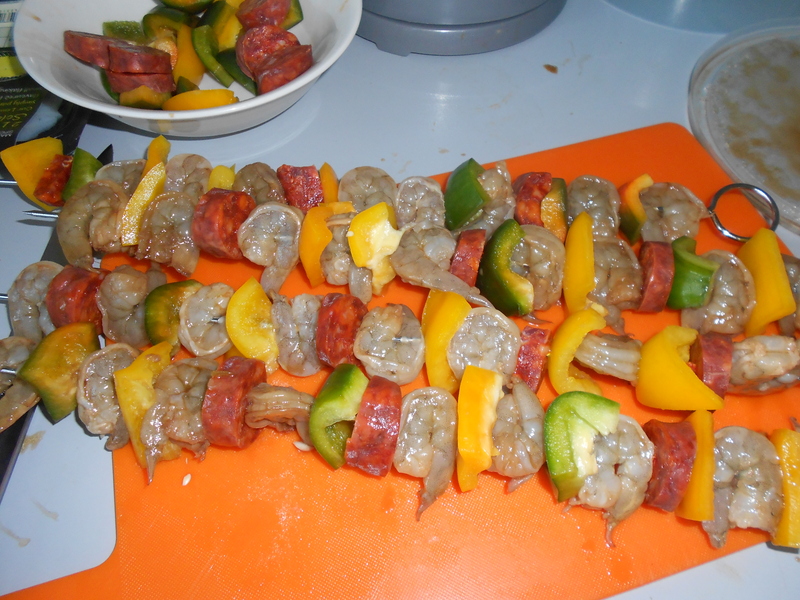 Cook on the barbeque until the peppers skins go slightly black and the prawns become opaque on both sides. 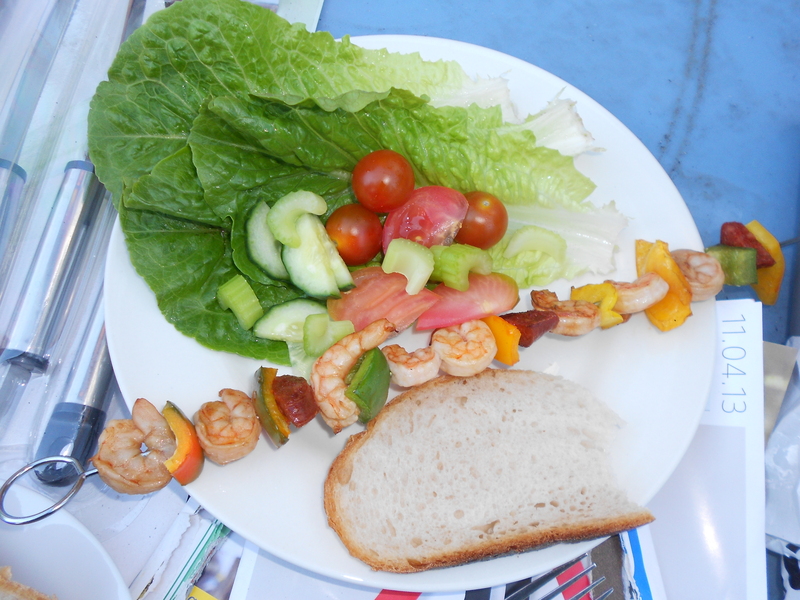 We served ours with a simple salad and some sourdough bread. Perfect. Possibly one of the nicest things you can make on a barbecue. Opinions? 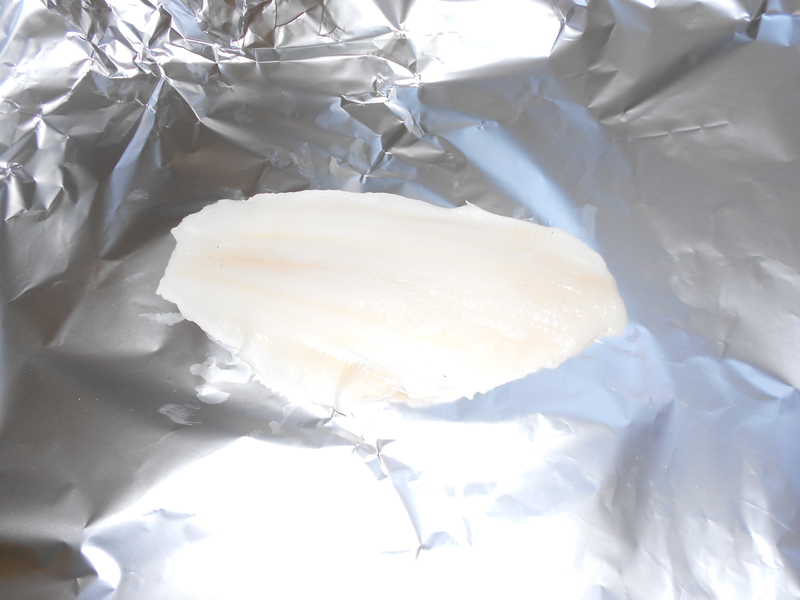 Place the sole on a good sized piece of foil – 1 piece of foil per fish. 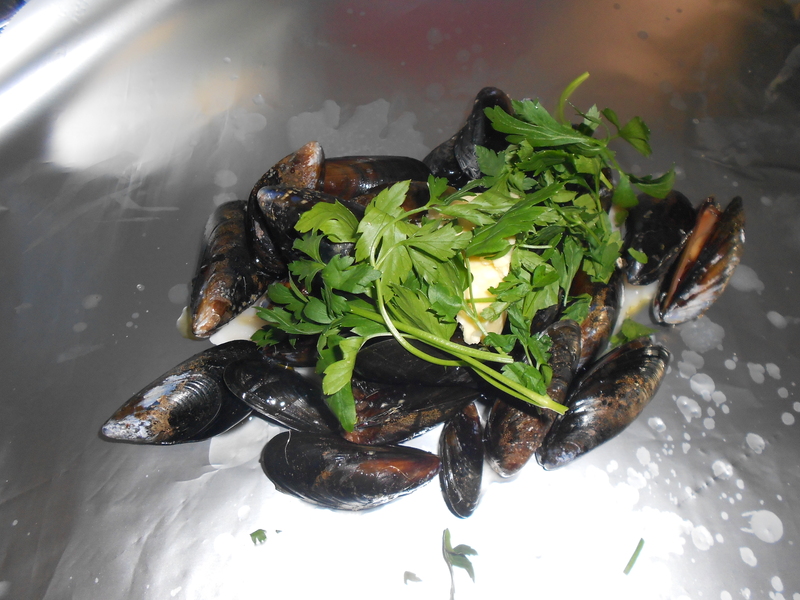 Wash and pick over the mussels like I described in my mussel post. Put half the remaining mussels on one piece of sole, half over the other. 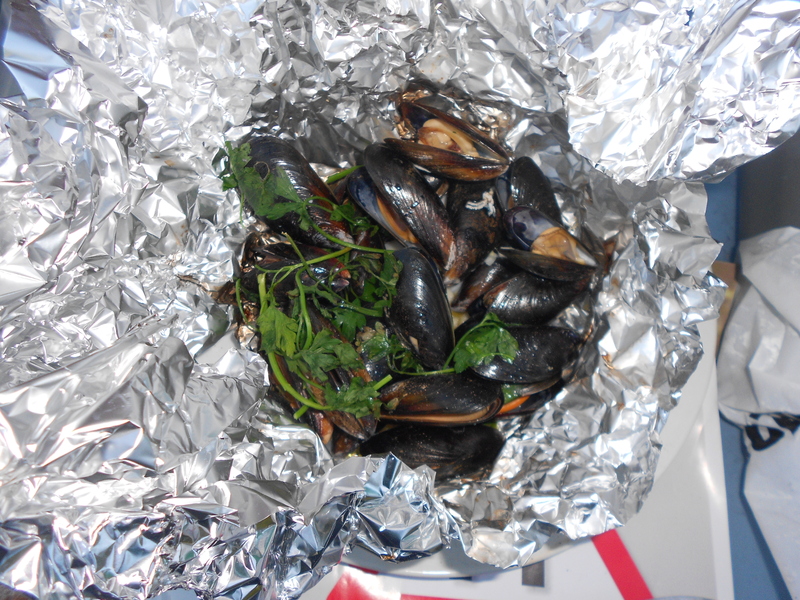 Top each mussel parcel with the parsley and the garlic butter. 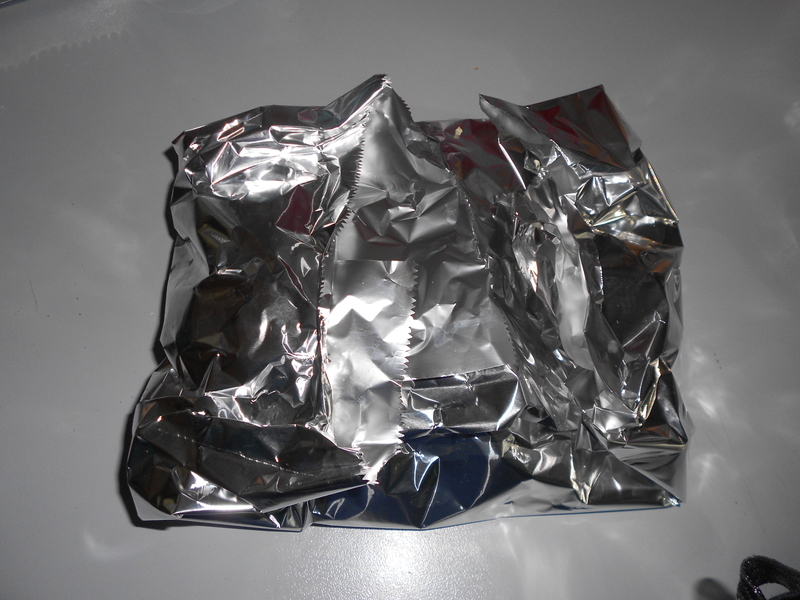 Wrap the foil parcels up but not too tight. I want this again now! To cook, remove the griddle lid from the barbeque and cook directly over the hot charcoal. 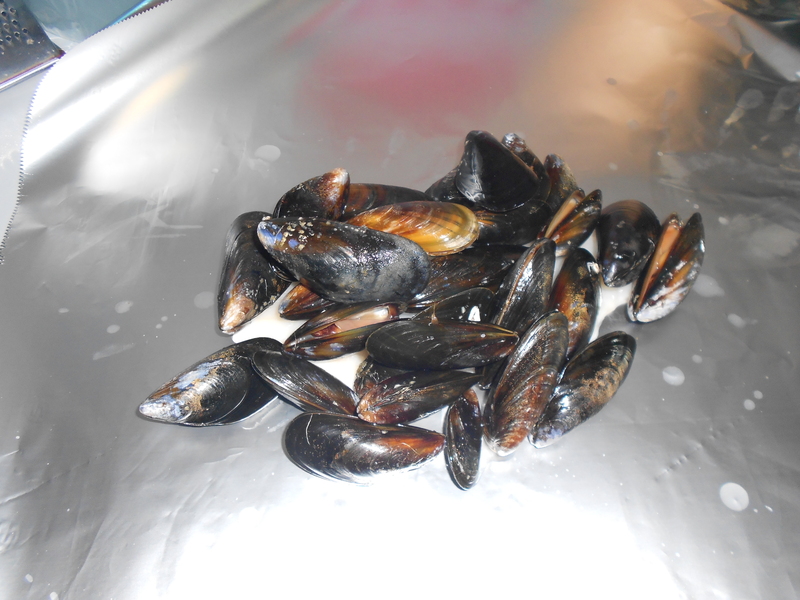 Cook until the mussel shells open and the fish is opaque. You might want to check on it a couple of times to make sure you don’t overcook everything. Fish is disappointingly rubbery when overcooked. 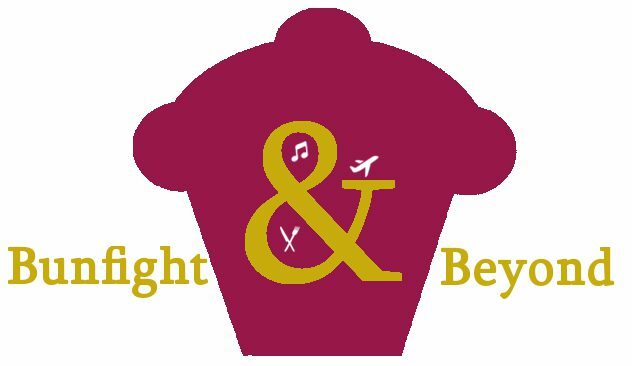 Enjoy with a cold glass of white wine, beer or lemonade. 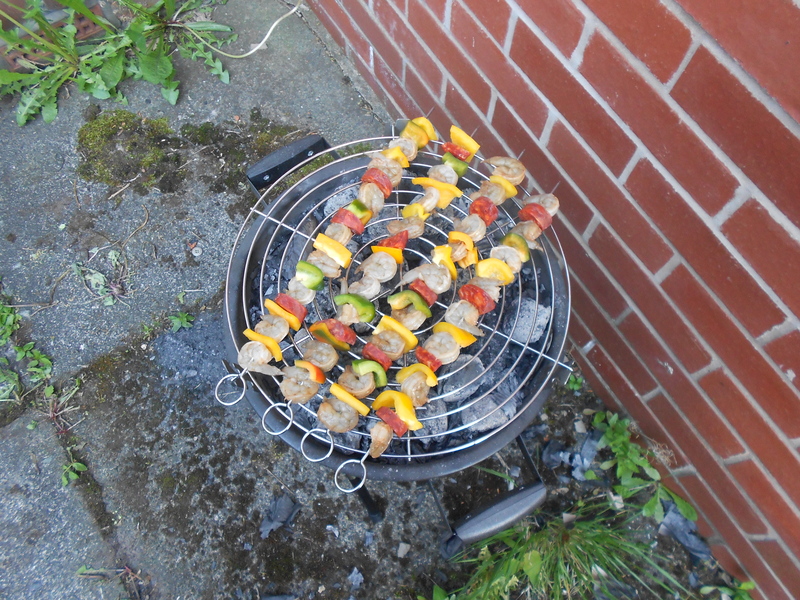 These skewers look amazing – I will be making them very soon if this weather continues!